Bodyguard equipment must strike a balance between portability and tactical capability. Bodyguards typically wear civilian clothes and try to remain discreet about the armament they are packing. This is why they are more limited in the equipment they can carry when compared to a soldier or police officer. A professional bodyguard providing close protection for a VIP (i.e. politician, corporate executive, movie star, etc.) will typically carry a firearm, an impact weapon, handcuffs, and a knife. If they are working as part of a protection team, they will also utilize some type of radio communication device wired with a handsfree earpiece. Usually, a bodyguard will elect to carry a compact semi-automatic firearm. Specifically, they will arm themselves with a high-capacity pistol of a substantial caliber that is smaller than a full-size service pistol, but larger than a sub-compact gun. This achieves a fair balance between firepower and comfortable carry. Some bodyguards will also equip themselves with a highly-concealable pocket pistol that serves as a backup gun. 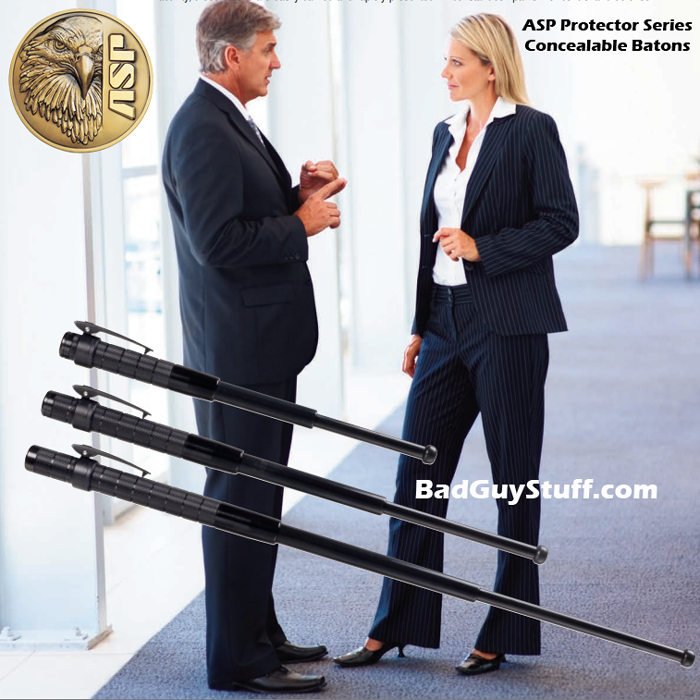 With respect to modern bodyguard equipment, the nearly universal choice of an impact weapon is the expandable baton. When collapsed, an expandable baton is so discreet that a bodyguard may on occasion hold one in their hand, at the ready, while leading a VIP through a crowd situation. If necessary, a sharp flick of the wrist is all that's needed to deploy the baton to full length. 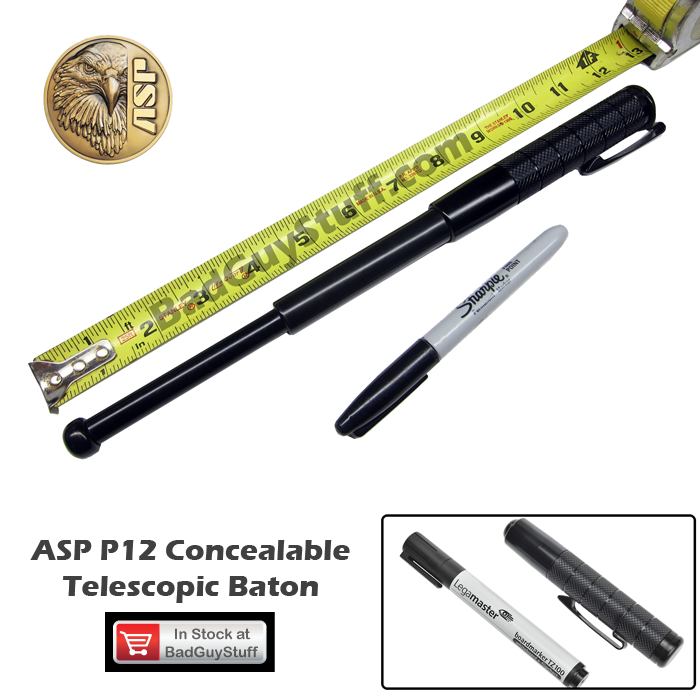 In expanded form, the baton can be used to back-off, disarm, incapacitate, or subdue a threat. It is a highly versatile impact weapon that is easily packed when collapsed. An underlying principal of bodyguard work is that a VIP should be removed from an area of conflict or potential danger as quickly as possible. So, a bodyguard won't usually stick around for long with their VIP client after suppressing an attack. If a bodyguard must restrain someone who attempted to attack the VIP, they'll likely use disposable (single-use) handcuffs. That way, they can more quickly exit the scene once they hand off the attacker to the police. 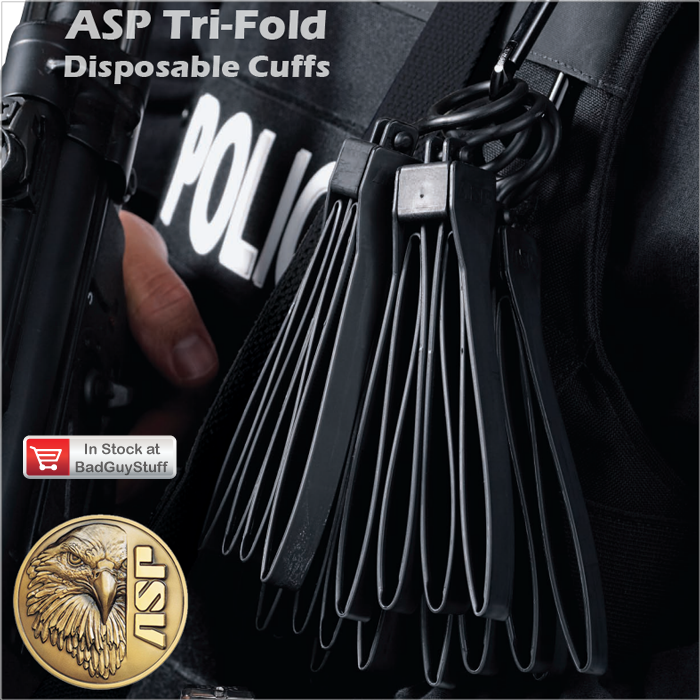 Specifically, there is no need to wait around while a police officer swaps out the handcuffs on the suspect because the cuffs are single-use disposables. The last piece of standard bodyguard equipment to mention is a knife. 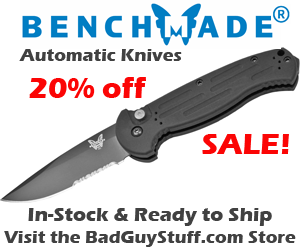 Usually, the knife a bodyguard will choose to carry will fall into the category of a "tactical knife" or "tactical folding knife". However, this is not in any way meant to imply that the bodyguard is planning on having to knife fight with an attacker. Instead, tactical knives are typically selected by bodyguards because many of them are designed to be opened with one hand. In an emergency scenario where a bodyguard has to cut seatbelt staps to free their VIP client from an ambushed/disabled vehicle, there is tremendous benefit to being able to keep one hand free (for a variety of safety reasons). 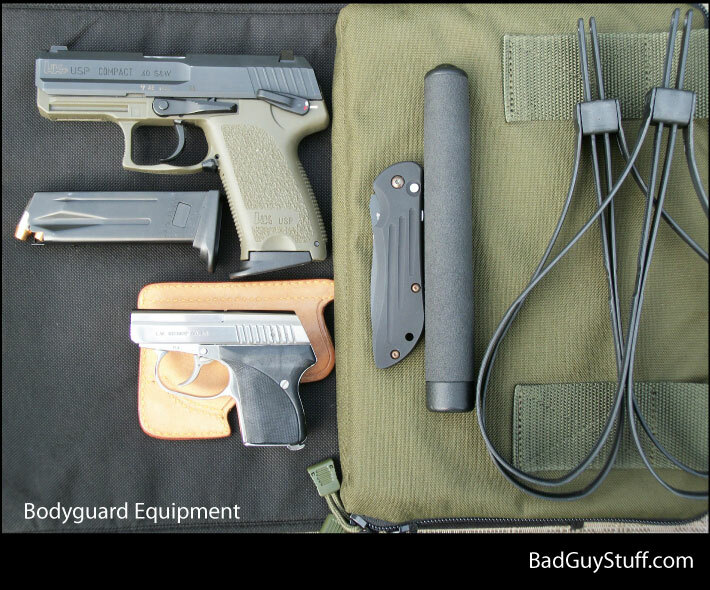 The following photo depicts a typical carry package of bodyguard equipment. Shown are a Heckler & Koch USP Compact semi-automatic pistol in .40 caliber, an extra magazine of .40 caliber Federal Hydra Shok premium hollow point ammunition, an L.W. Seecamp .32 caliber pocket pistol backup gun with a concealment holster, a Benchmade automatic one hand opening tactical knife, an ASP expandable baton, and lastly, 2 pairs of single-use Tri-Fold disposable handcuffs.